Houses & Homes VA: Will Ello eventually replace Facebook? Will Ello eventually replace Facebook? Replacing Facebook is a tall order for any competitor, but is it even possible? I can remember a time when AOL (America on Line) was the undisputed King of socializing on the internet and it seemed like that would last forever. Nothing, however, lasts forever and if you ask your average teen today about AOL you are likely to get a blank stare in return. Everything fades in time and Facebook is no exception although I’m not sure this will happen anytime soon. There is however a new social media site that just might give Facebook a run for its money. Ello was introduced in March of 2014 as an alternative to Facebook and has done quite well in a short period of time. Part of the reason for its success is the fact that it is ad free and promises never to sell any information to 3rd parties of any kind. That’s a pretty attractive offer in lieu of Facebook’s recent history. Ello also allows entry into its world by invitation only and states that it is focused on the needs of the user and not advertisers. Although the service is free, users can access more features by becoming a “power user”. There is a fee for this upgrade but it is designed to eliminate the need for paying advertisers in an attempt to keep the sight purely social and not a 24 hour a day commercial. Regardless of its increasing popularity, Ello faces a huge hurdle in attempting to eventually replace Facebook. 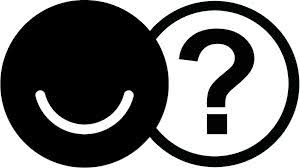 One important question yet to be answered is whether many users will switch exclusively to Ello or use it in addition to Facebook. Undoubtedly some diehard fans will continue to maintain their Facebook account as well as Ello due to the overwhelming difference in popularity. Currently Facebook has over 1 billion subscribers compared to only about a million on Ello. That’s a margin of about 1,000 to 1 and that is a huge difference. It’s hard to imagine any new social media platform that can actually dethrone the reigning champion at this point but in time all things are possible and Ello just might be the one to do it. Have you checked out Ello yet? Sometimes it’s best to get in on the ground floor and the site is quite interesting for those of us that enjoy the world of social computing.